There’s a lot going on over at F as in Frank Vintage. For another 3 days they’re hosting a 30% off sale on close to 500 items. 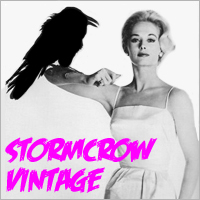 They also recently revamped their website which is stocked with all types of vintage if you prefer to do biz off eBay. Plenty of stuff to explore at their URL – including a blog, so connect with these guys, they’ve got it going on. And a note to other sellers out there – please notify us should you be hosting a sale or listing special items and we’ll do our best to plug it for our readers. We’re nearing 20k visitors monthly, so please keep us informed.